At Wisconsin Weatherall, we pride ourselves on our partnership with ProVia®, a leading manufacturer in the home improvement industry that is known for producing expertly crafted products. The world-class replacement windows and exterior doors we install are beautiful and engineered to stand up against inclement weather and provide lasting performance. Furthermore, our products are ENERGY STAR® certified, so they’re designed to mitigate heat transfer and potentially lower monthly energy costs. And, our home windows and replacement doors can be fully customized to meet your aesthetic preferences and can be upgraded to include enhanced security and noise-resistant features. Customizable vinyl windows from ProVia® outperform the competition, offering the perfect blend of beauty and energy efficiency at an outstanding value. Gorgeous, pre-finished wood interiors with vinyl exteriors create a stunning look that requires minimal maintenance. Durable hardware and thick fiberglass or steel designs provide added protection from the elements and boosted security. Beautiful sliding glass and French patio doors allow easy access to the outdoors and are available in numerous colors and finishes. You’d be hard pressed to find a more dedicated home improvement company serving southeastern Wisconsin than Wisconsin Weatherall. 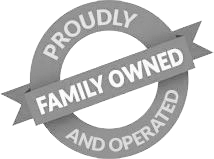 Throughout our many years in the home improvement industry, our family-owned and –operated business has developed the reputation of pairing top-quality products with five-star customer service and outstanding installations. The expertise of our installers – who are our own employees, not subcontractors – ensures that the home upgrades we offer are installed exactly as they should be so our products look and function as intended well into the future. Our commitment to providing meticulous and efficient installation is evidenced by the number of accolades we’ve earned, including an A+ rating with the Better Business Bureau. We are so confident in our ability to deliver the results our customers desire that we offer workmanship warranties that cover all of the window and door installation work we perform. This helps to protect our customers’ investments and help them feel assured that they are receiving first-rate windows and doors, as well as some of the finest, most professional craftsmanship in Southeastern Wisconsin. Few companies in the area can match our commitment to excellence, and we feel that our workmanship warranty serves as an example of that. If you are interested in hiring us to install your new windows and doors, contact us today for more information. As a family-run business, we value relationships and want our customers to feel right at home when they work with us. At Wisconsin Weatherall, we only offer products we’d install on or in our own homes, which is why we sell highly sought-after ProVia® doors and windows. Our very own talented and experienced installers – not subcontractors – complete all installations quickly and correctly so you get the most product benefits. At Wisconsin Weatherall, we seek to excel in every way. Our excellence has earned us an A+ rating with the Better Business Bureau. We are also NARI and AAMA certified.